Pelicans sabotage Lakers as revenge for tampering? Revenge is a dish best served cold and with a side of Dell Demps. 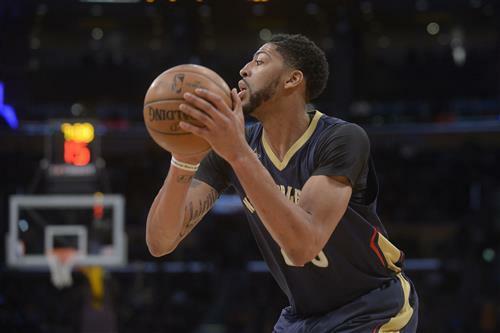 The Los Angeles Lakers have been working hard to try and acquire Anthony Davis from the New Orleans Pelicans following Davis’ trade demand issued last week. All reports have indicated so far that the Pelicans are toying with the Lakers, first by telling them they don’t consider their trade offers to be serious, and then by not responding to their improved offers. The result is that about half of the Lakers’ roster has been named in the trade talks — seemingly leaked by the Pelicans to the media — which undermines the Lakers by interrupting their team chemistry. How hard will the players play for the organization and for LeBron James if they know the team and James wanted to trade them for Davis? We saw the answer on Tuesday night. Taking things one step further, ESPN’s Brian Windhorst said on Wednesday that the Pelicans are intentionally sabotaging the Lakers as revenge for what they felt was tampering by trying to manipulate the Davis-to-Lakers deal.